Academician of The Russian Academy of Arts. Born in Moscow. Theater and movie actress, director. Graduated from the Moscow Art Theatre School, Art Director of Sovremennik Theater since 1972. 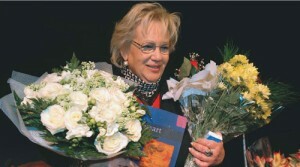 People’s Artist of the USSR, USSR State Prize Laureate, President of Russian Federation Prize in Literature and Arts Laureate, Winner of G. A. Tovstonogov Prize for an outstanding contribution to the theater development. Companion of the Order of Merit for the Fatherland (1 st, 2nd and 3rd class), Order of Friendship of Peoples, Order of the Red Banner of Labor. Galina Volchek is a woman of many gifts and many demands. She rules Sovremennik, one of the best Russian theaters, for almost forty years. Her spectacles are always sell-outs. Growing and supporting the talents is her greatest faculty. Her power is soft but it can pierce all barriers of cynicism and indifference. She fixes her eyes on creative goals. The result of cooperation of all collaborators. Sometimes the gift should have a lot of time to be noticed. And everyone including the one who possesses this gift becomes wondered at its greatness. But this happy amazement doesn’t last long. The time of thinking comes and the gifted one finds himself analyzing his every word and decision to the deepest detail. «I can’t live in happiness for a long period of time. That’s my bad habit,» — Galina Volchek once said. It doesn’t mean that she is a misanthrope. She is just a perfectionist. Most of other people would simply cease trying. But she won’t stop until she finds the missing link. Galina Volchek finished school without attending classes and wanted to become a «simple actress». She succeeded in doing it and at various times appeared in such films as Don Quixote, About Little Red Riding Hood, Autumn Marathon. It could be enough but not for her. Her beloved Sovremennik lost its director and one of theater founders Oleg Efremov. The theater was about to collapse. Two hard years of collective direction proved that the theater needed a strong and daring leader. Galina Volchek, surprisingly for herself, took this place. At that time she had successfully directed William Gibson’s play Two for the Seesaw and received the USSR State Prize for her spectacle An Ordinary Story based on the book by Ivan Goncharov. But back then she had Oleg Efremov among her allies. This time Galina Volchek had to go on her own. And she did it. The Ascent of Mount Fuji by Chinghiz Aitmatov and Kaltay Mukhamedzhanov symbolized the rebirth of Sovremennink. She was trusted. Brilliant productions of Weather for Tomorrow by Mikhail Shatrov, Murlin Murlo by Nikolay Kolyada, Pygmalion by Bernard Shaw, The Cherry Orchard by Anton Chekhov came one after another. Many plays were written directly for Sovremennik. 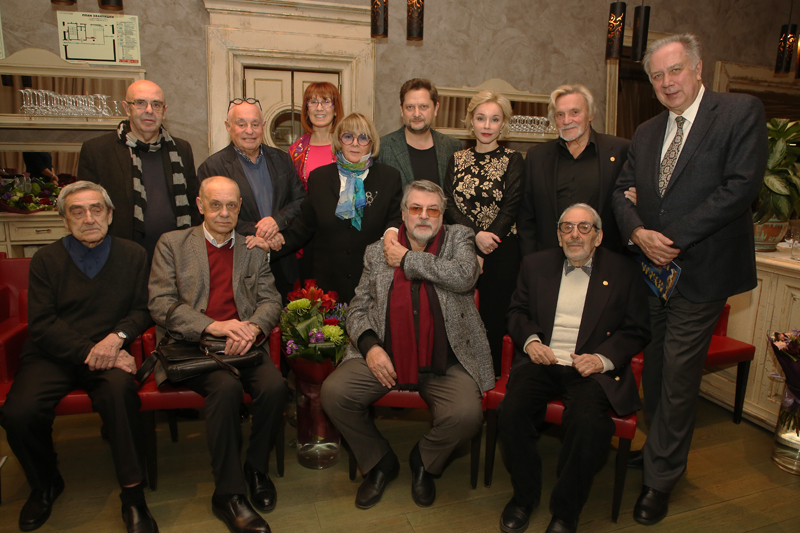 Theater discovered new talents like Ludmila Petrushevskaya and Vladimir Gurkin. In 1978 Galina Volchek broke the cultural blockade between the USSR and US and directed Echelon by Mikhail Roschin in Houston. In 1990 the famous group came to America again and brought new spectacles Three Sisters and Journey into the Whirlwind. Thus Sovremennik became a rare example of a non-American theater honored with a Drama Desk Award.